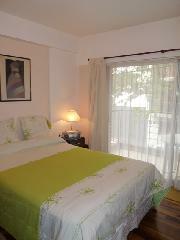 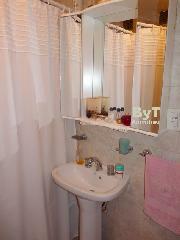 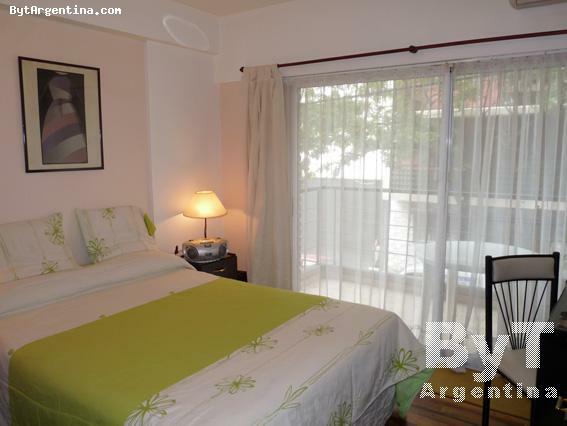 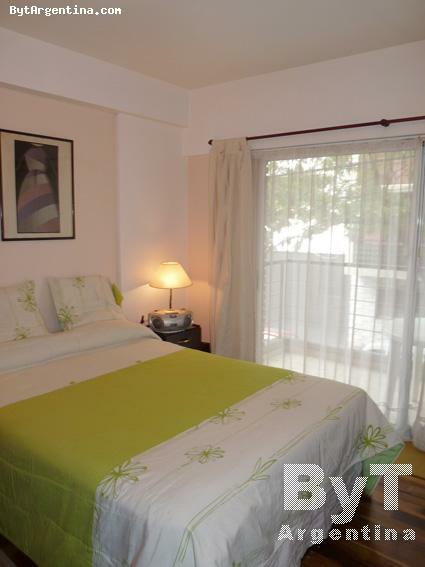 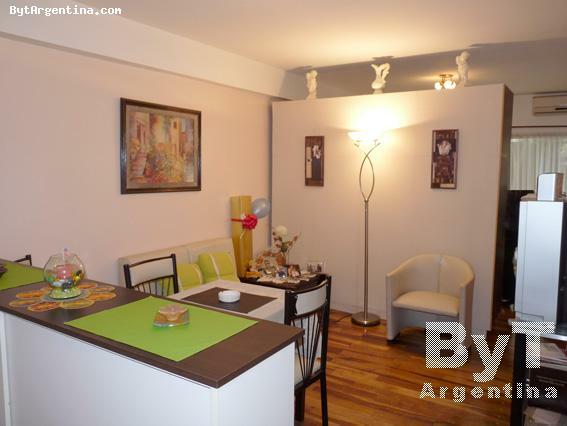 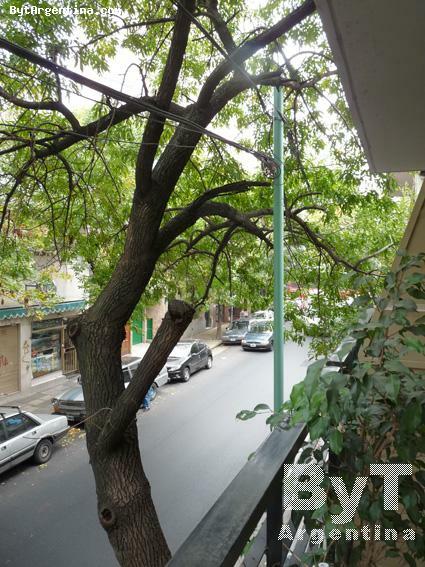 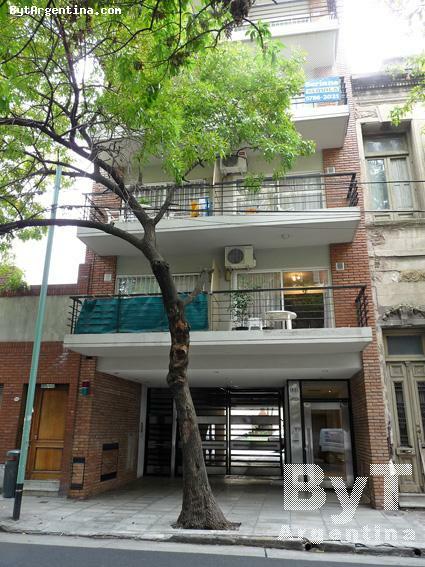 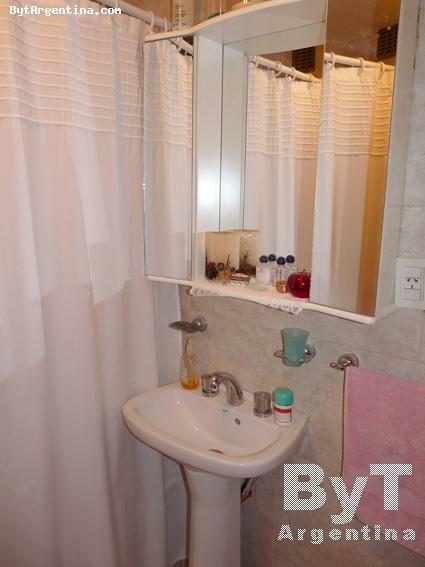 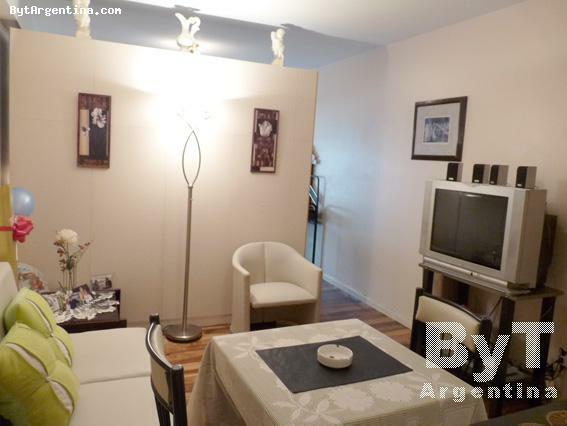 This nice apartment is located in the Montserrat neighbourhood. 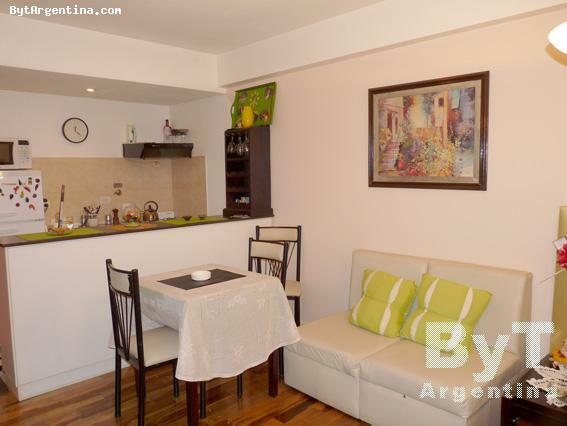 The flat offers a living-dining area with sofas and a dining table, an equipped american kitchen, a bedroom area with a double bed, one full bathroom, and a lovely balcony facing the street. 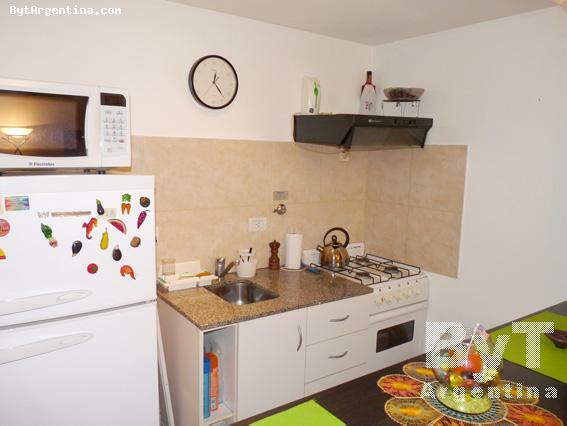 The apartment is equipped with High speed internet access, cable TV, DVD and home theatre, fridge with freezer, microwave, dishes, kitchenware, linens and towels. 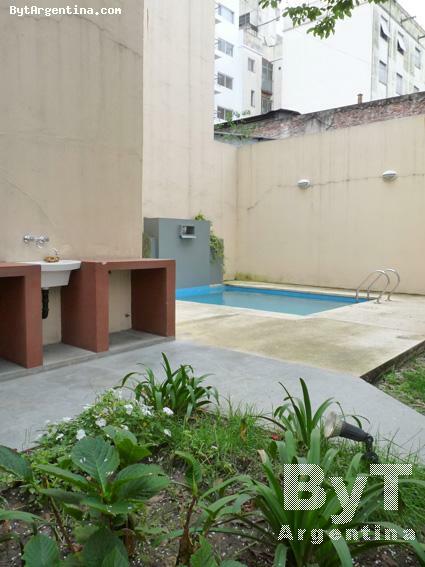 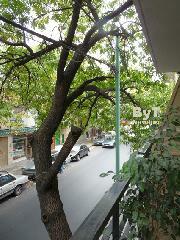 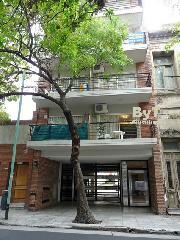 The building has an small swimming pool (available only in summer season), laundry and parrilla BBQ.